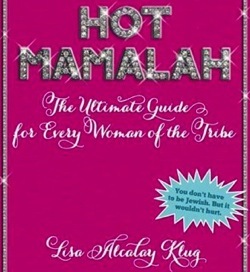 Mamalah Meets Mamita: An Evening with Lisa Klug, Author of Hot Mamalah and Cool Jew, and Performer/Poet Vanessa Hidary aka the Hebrew Mamita, with musical guest, Mama Doni and guest host, Diva Mama Shira Adler. Lisa and Vanessa will present stories and slam poetry. Doni will perform an acoustic set and the event will be emcee'd by Shira. Raffle prizes, gift bags, light refreshments. Suggested donation: $10-$20 sliding scale. A Hot Mamalah Production, co-sponsored by Jewish Art Salon, JICNY and Isramerica.